Even if the 2016 Paris Motor Show opened its gates just a couple of days ago, the British-based Land Rover carmaker took its time and officially presented the all-new 2017 Discovery on the Aussie website, with the model reaching dealerships countrywide next July, from a base price of 481,950. The Australian customers will have to wait until next summer to have the all-new Discovery home, but the await will be worth-it, especially since the model will be offered with the Td4 SE seven-seater version. We are looking here at a massive SUV capable of accommodating up to seven people and coming with a wide space inside, allowing a total of 2,406 ltiers with the rear seats folded down. In case your luggage don’t fit inside, you can use the extra 3,500 kg towing cargo. The list of high-end features and gadgetry inside is enormous, with the most highlights to revolve around the passengers` own comfort while cruising the country. We are looking here at a 10-inch touch-screen interface found on the center dash fascia, now available with iOS and Android connectivity, along with 12V sockets, seven USB ports, a 14-speaker Meridian surround sound system and sub-woofer and so on. Even if the 2017 Land Rover Discovery is big, it is also 480 kg lighter than the previous model, much faster and extremely powerful. 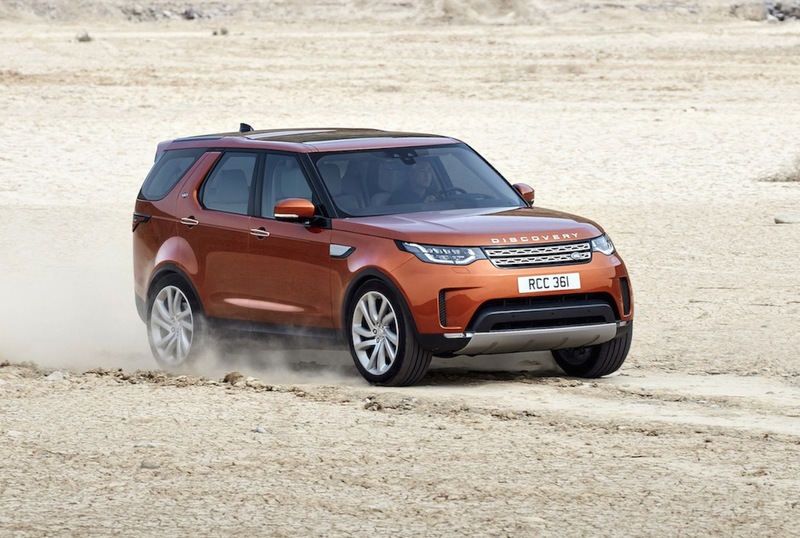 Speaking about performance, the new Discovery is available in Australia with a wide array of engines, but only three of them have been presently confirmed. It is about the new 2.0-liter twin diesel flat-four engine, with177 kW and 500 Nm of torque, flowed by a 3,0-liter turbo diesel and a 3.0-liter supercharged V6 engine, the latter one producing somewhere between 250 – 280 kW.